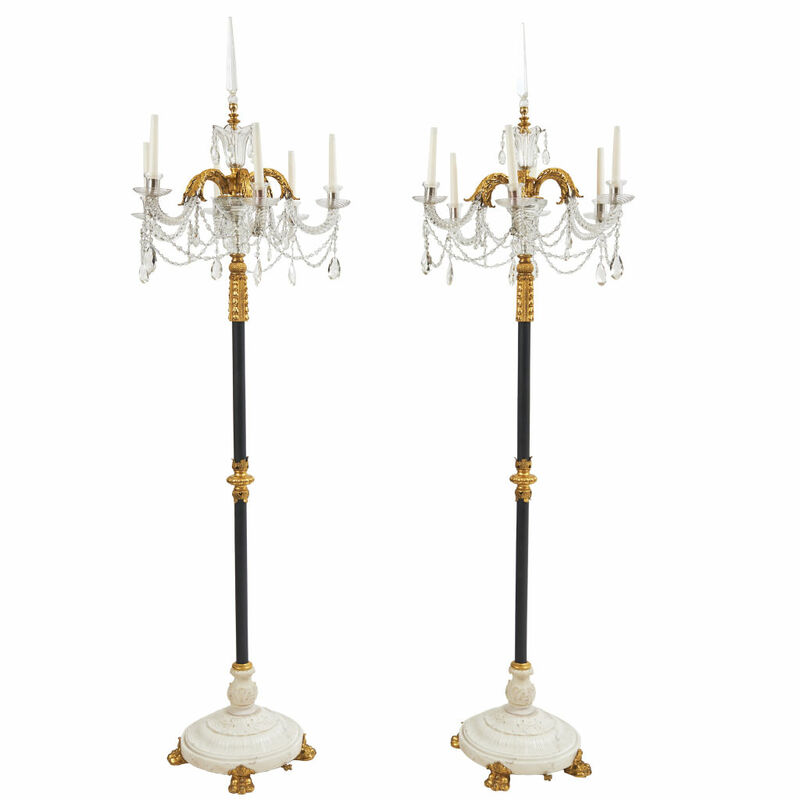 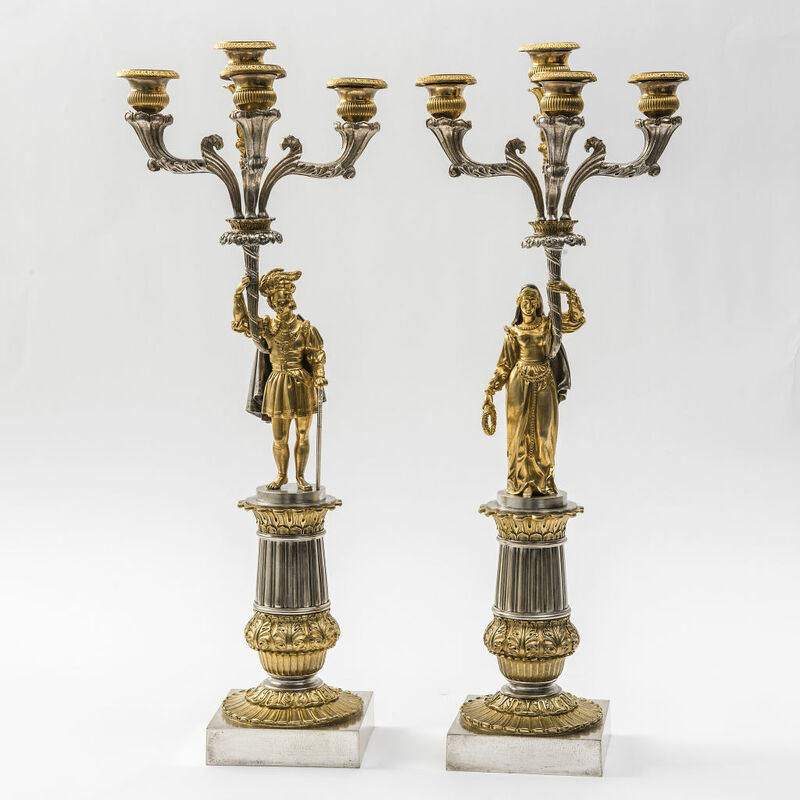 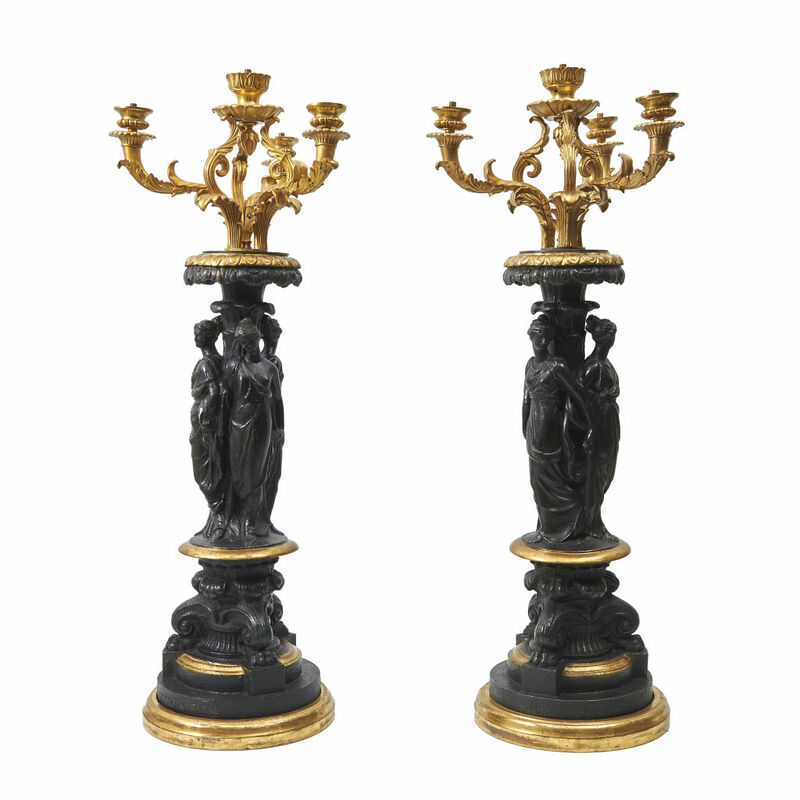 Large pair of French finely cast patinated bronze and ormolu candelabra. 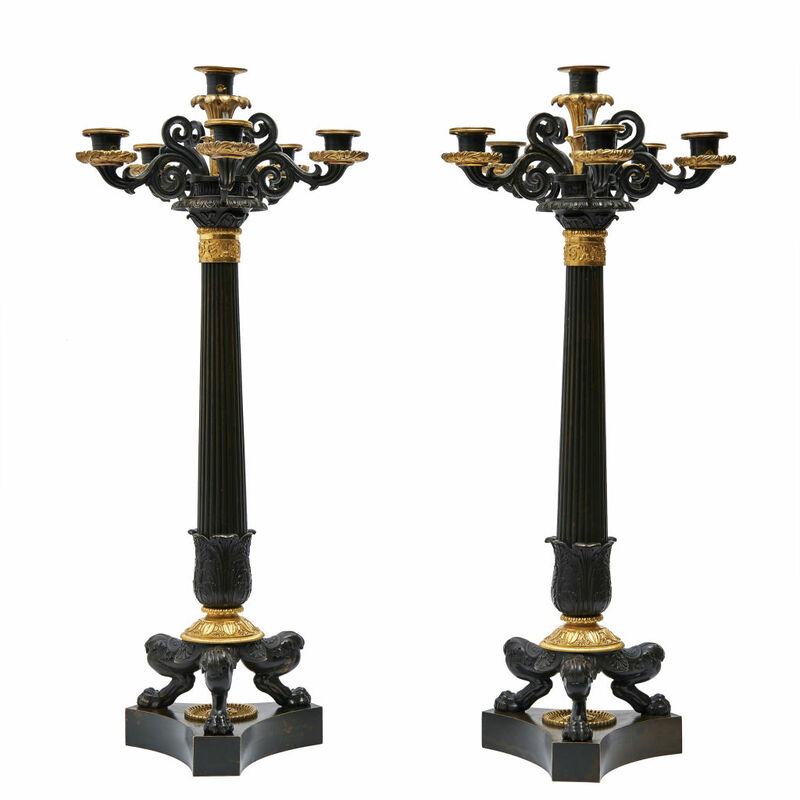 Each with six branches above a fluted column, acanthus decoration and a tripod base. 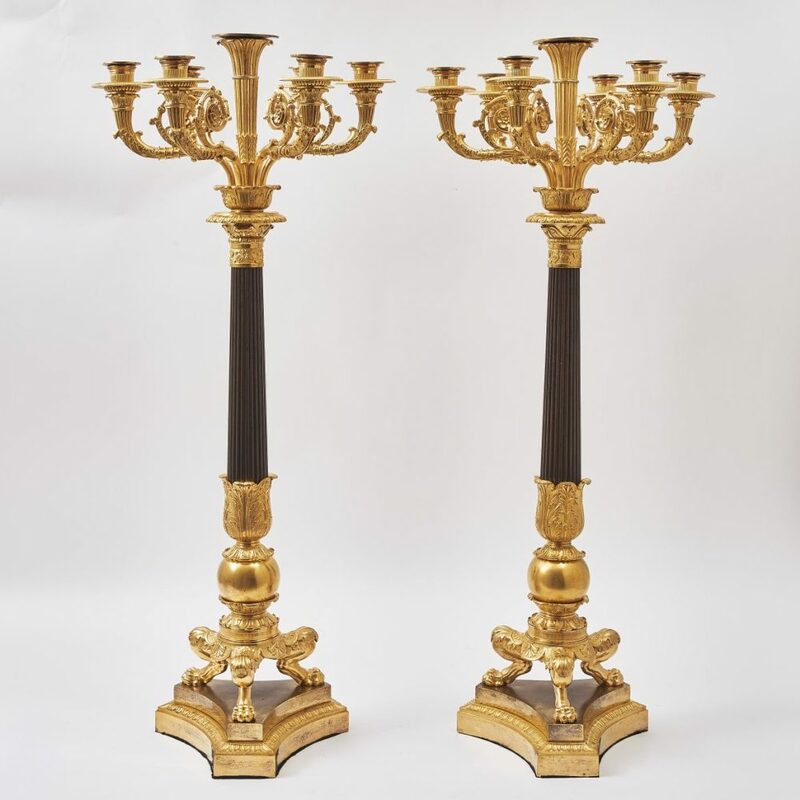 Louis Philippe c.1840, attributed to Thomire.